Abel Tasman sunrise at Onetahuti Beach, with Reef Point beyond. Tonga Roadstead. 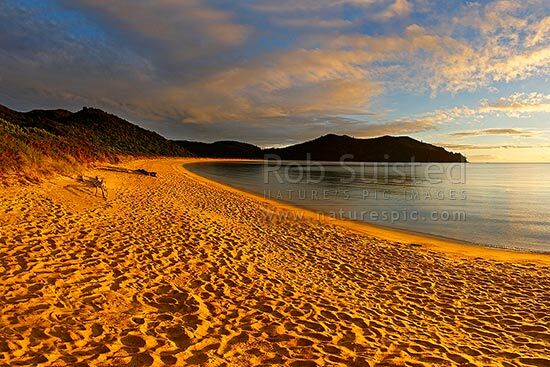 Golden sand beach, Abel Tasman National Park, Tasman District, Tasman Region, New Zealand (NZ), stock photo.